It took some time in 1852 to convince the Imam of the Great Mosque of Al-Nuri in Mosul, but James Felix Jones eventually got the permission he needed to climb up the stairs of the famous “hunchback” minaret. It was from this vantage point that Jones, an Indian army surveyor and officer, started to take measurements. 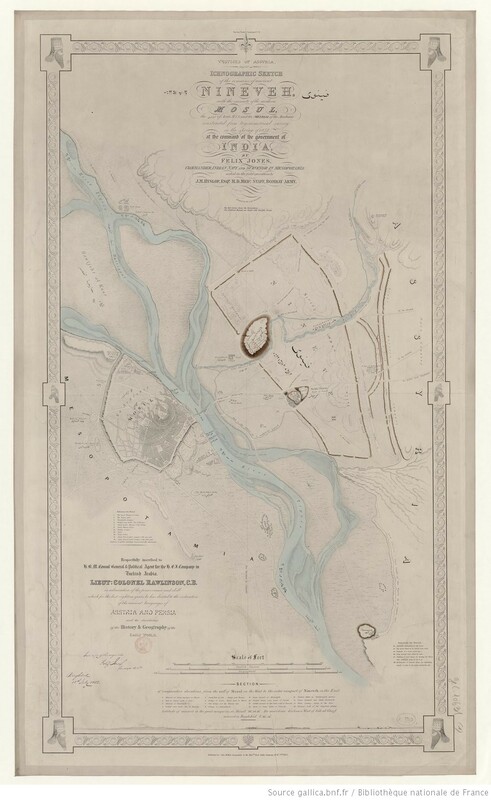 He established the leaning minaret’s longitude and latitude, one of the first fixed points from which it became possible to triangulate the plain of Al-Iraq and to begin an accurate mapping of the area with mixed results (fig.1).